For New Year's Eve, costumes, accessories and custom decorations. 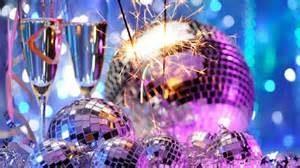 New Year’s Eve, December 31st, is the year’s biggest reason to party, and you’ll find all your party needs here at Etoile Costume & Party Center. Party Supplies, custom decorations, hats, horns, confetti, serpentine, balloons and more for your party and event needs. And for that theme party, costumes and accessories to buy and to rent for everyone, in every size. January first is the first day of the year of the modern calendar and is celebrated in a myriad of ways around the world. Years ago American’s sat around their radios and later their TV sets listening to and then watching Guy Lombardo and his Royal Canadians, once thought to be the sound of New Year’s, entertaining millions with the sound of the Big Bands. 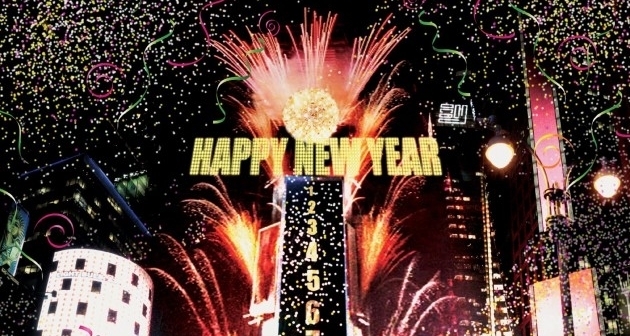 Today, millions are still watching TV, but to see the sparkling ball drop in Times Square, New York on New Year’s Eve and on New Year’s Day watching the fabulous Rose Parade in Pasadena. At the stroke of midnight, the notes of Auld Lang Syne can still be heard everywhere ringing in the New Year. On New Year’s Day we all start the year glued to our televisions watching the world famous Tournament of Roses Parade from Pasadena, California, and then football games until the sun goes down. If you have a New Year’s Eve party to attend, drop by Etoile Costume and Party Center to pick out the perfect theme costume, hat, mask, or simply scoop up arm loads of horns and noise makers to add to the festivities.